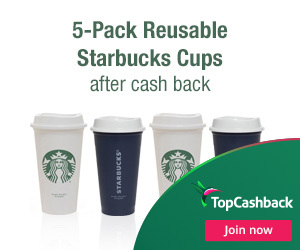 Unfortunately the "Free 5-Pack of Reusable Starbucks Cups" offer is no longer available. 3. Add one (1) Starbucks 16oz Reusable Cups 5-Pack priced for $8.94 to your cart and checkout. Do not add anything else to your cart. Offer valid through January 15, 2019.